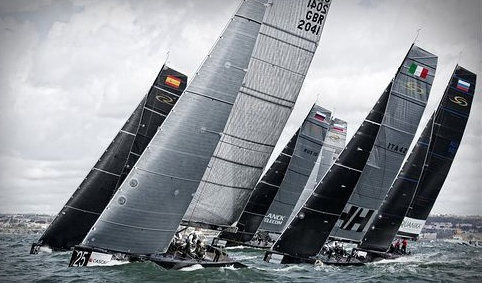 A stiff breeze blowing along the coast, combined with an impressively large Atlantic swell made the opening day of fleet racing at the RC44 Cascais Cup a very tricky one, particularly for helmsmen. In the three races sailed, consistency was difficult and of the 12 teams competing, John Bassadone’s Peninsula Petroleum was the only team to manage it. 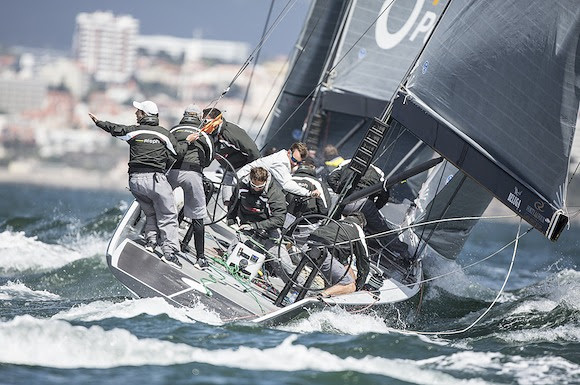 With a 3-3-1, the Gibraltar-based crew is now the runaway fleet racing leader, seven points clear of Chris Bake’s Aqua and Valentin Zavadnikov and Leonid Lebedev’s Synergy. Vascotto in the third and final race of the day when they got off to a terrible start but found a nice lane once after they tacked. 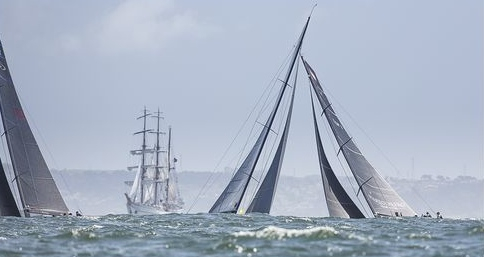 From their horrible start, they picked off the entire fleet until they were second to Aleph Racing coming into the finish line, where they surfed by to take the win. Aleph Racing had a tough day. 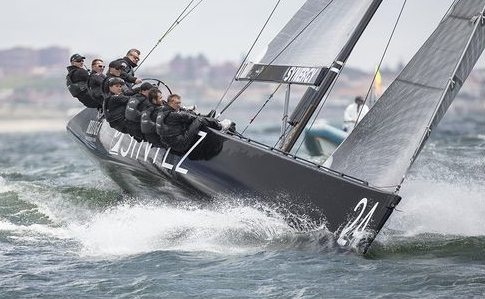 Finishing seventh in the first race, the French crew was then forced to retire from the second race with a broken jib cunningham and then led the third until they were pipped by Peninsula. 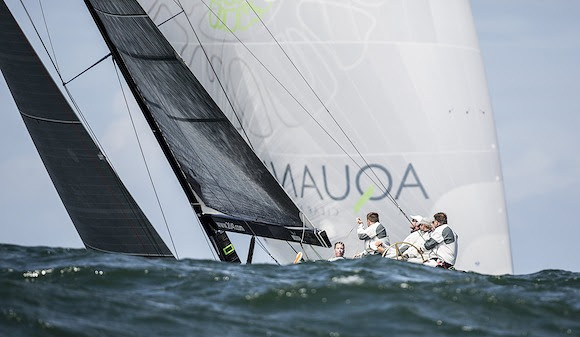 “We managed to tack very early after the start because there was a cloud coming and I was expecting a wind shift to the right which happened. We got a good lead from the shift and managed to stay ahead until the very end. 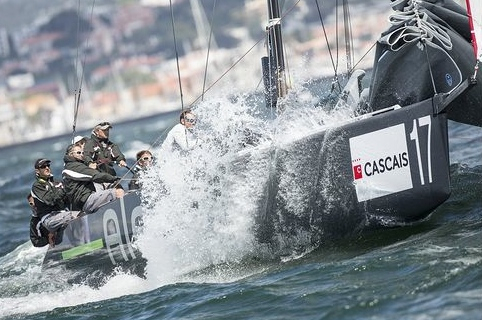 It was really frustrating to lose by half a boat length, but it was a good race.” Aleph’s tactician Mathieu Richard said. 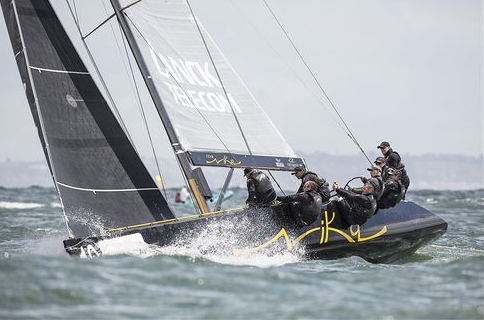 After a collision yesterday saw costly points deducted from its match racing score, Chris Bake’s Team Aqua recovered strongly today winning the first race. 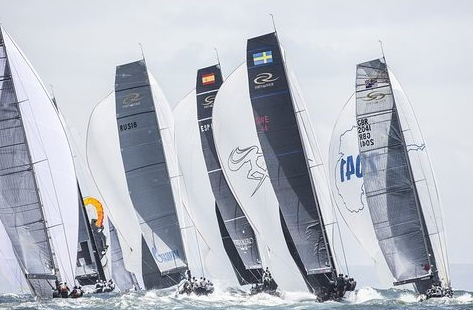 “We had a fantastic start and the fleet had the right side backed to pay and we were in smoother water, with a nice breeze line and were one of the most left boats. It was very much a helmsman’s day with the guys who could steer the best rose to the top because of the cross sea and the boats getting corkscrewed around. Downwind it was all about your timing on how much how you had the boat loaded, when you chased a wave and when you didn’t. We are happy to have survived day one,” Team Aqua’s Cameron Appleton said. 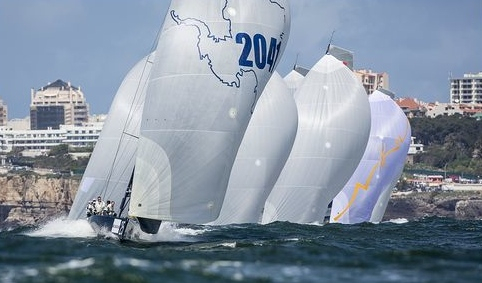 After their strong start, Aqua was subsequently nailed in the second race when they were pinned out on the final run, causing them to finish in a disappointing ninth. Winner of race two today was Vladimir Prosikhin’s Nika, sailing with his team’s new tactician, American Terry Hutchinson. In the race they won, Hutchinson said he felt they had started well mid-line but had played the shifts well up the first beat. 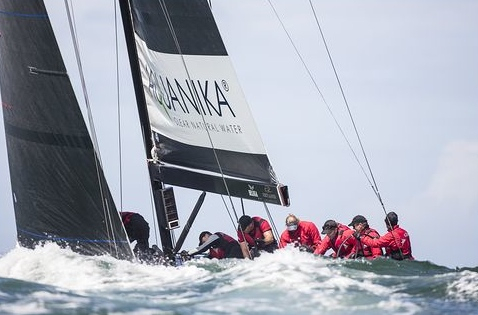 In reality, Nika’s lead at the top mark was enormous, by far the biggest of any in today’s three races. In his first fleet racing with the team, Hutchinson said he was pleased with their fifth place overall after day one. 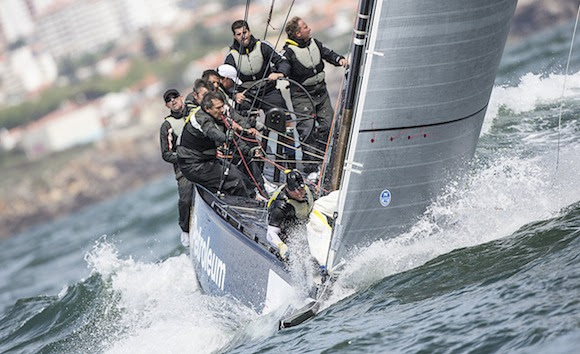 Day two of fleet racing resumes tomorrow at 11.30 local time.